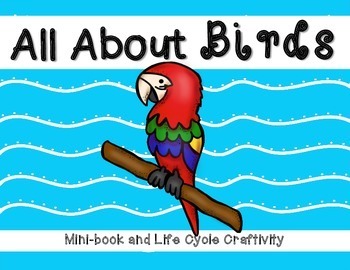 Birds - All About Birds: Nonfiction minibook and craftivity! 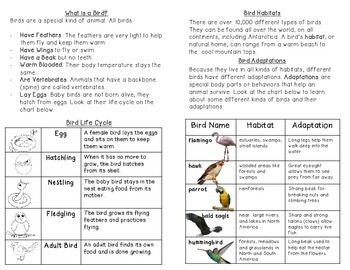 This is a non-fiction minibook about birds. Students can read the book independently, with a partner, in a small reading group, or as a whole class. 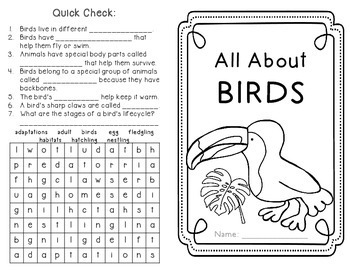 After reading, students can complete a quick quiz on the back of the book and then complete a word search on the vocabulary. Matching activities are included (see below) that allow the students to incorporate ELA skills like sequencing and writing. Mini-book includes REAL pictures, too! 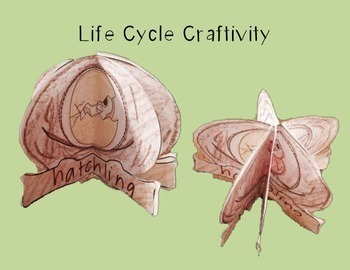 Cut and paste craftivity on bird lifecycle- 3D! Just print two sided, fold and you're ready to go!